All greeting cards are NOT the same! Especially when paper is folded into an attractive "Message Shirt"! This origami model is folded from any 8.5" x 11" paper. 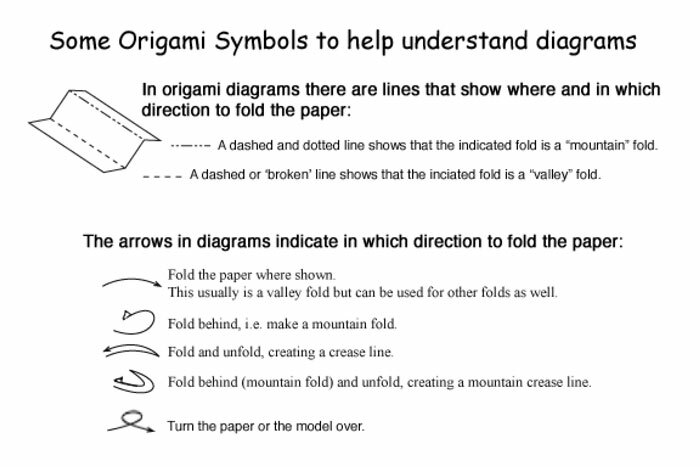 Begin by writing and / or drawing your message on the center of a piece paper, then fold it following the attached diagrams. 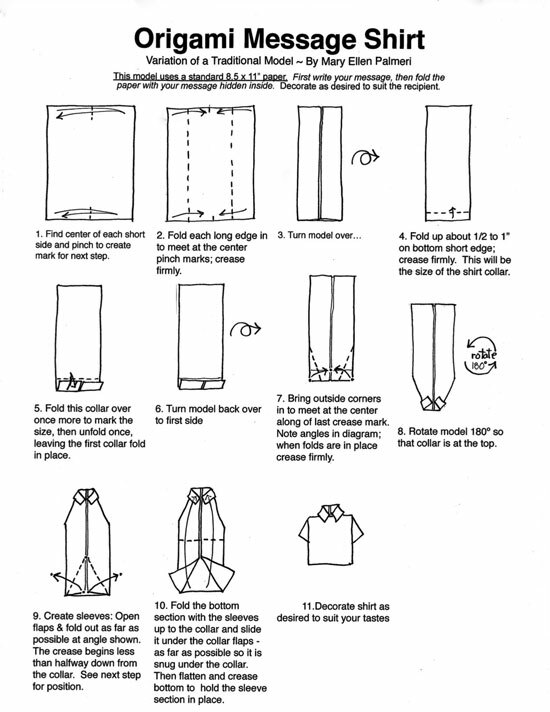 Draw on your folded model to add details of a shirt or a blouse, and color additional decorations according to taste. You will then have a unique greeting for someone special. 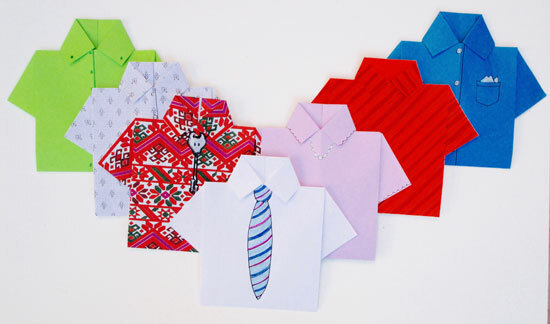 There are several shirt folds in origami. This one is a variation of a Traditional fold. Try it with solid-color or patterned papers. I find it fun to fold this model into different sizes - just cut the paper into a rectangle that has similar proportions to the original 8.5 x 11". Here are a few sizes to get you started: 5.5" x 7-7/8" (will result in a shirt exactly half the size of one folded from 8.5 x 11"); if you'd like to go smaller, try 3" x 4", or even 2" x 2-5/8". You can use scrap-booking paper for a larger result, cutting the paper 9" x 12" before folding.